We apologize, but this item is Out of Stock. This beautiful magnet showcases a gorgeous city scene of the Golden Gate Bridge and San Francisco Cable Cars in front of the unforgettable city skyline. I was searching for something to gift to friends and family. This was perfect, not expensive. Ordered 15 of these. 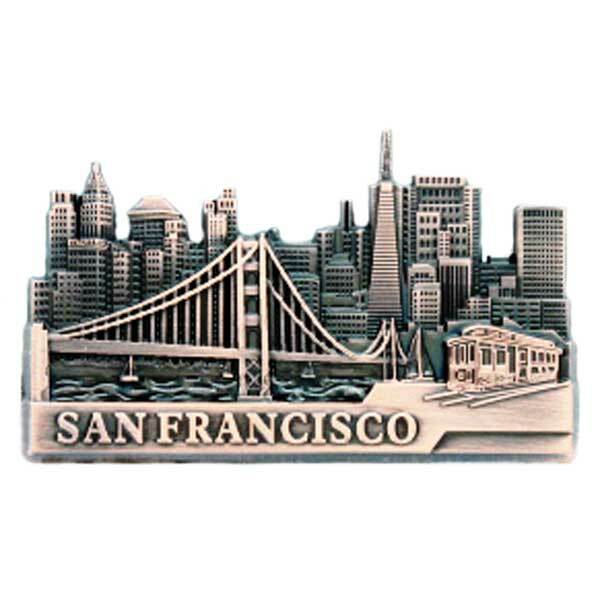 The store has the best collection of souvenirs at best prices and prompt delivery. Great wrapping of product, arrived safely and in a timely manner, product was exactly how it was pictured. Thank you!! I got these to give as souvenirs to my guests at my son's wedding. They look even better than the picture. I am very happy with the service. This magnet is really nice. It does not look cheap. Very classy, my boss loved it!